Since its inception in 2002, the Applied Soil Ecology Lab has employed more than 40 undergraduate summer research students, hosted 13 B.Sc., 19 M.Sc., and 10 Ph.D. students, provided career development opportunities for 6 Research Associates / Post Doctoral Fellowships, and trained 23 expert technicians. Many of our past personnel have gone on to further their education and establish successful careers in their field of study, including positions with major agronomic associations and businesses, Agriculture and Agri-Food Canada (AAFC), Department of Fisheries and Oceans (DFO), as professors / researchers at Canadian or American universities, and proprietors of agronomic businesses / consulting firms. Dr. Xiaopeng Gao (2012-) is a research associate in the Applied Soil Ecology Lab and also a research scientist in the Chinese Academy of Science. His current research programs concentrate on the impact of agronomic practices on reduction of greenhouse gas emissions from soils. 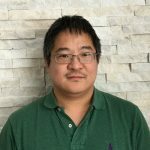 Dr. Gao is highly experienced and interested in the research areas of development and modeling of 4R management strategies to reduce N2O emissions from agricultural systems. Mingyuan Yin (2018-) is a visiting PhD candidate from the Chinese Academy of Sciences. During his tenure with the Applied Soil Ecology Lab, he worked under the supervision of Dr. Xiaopeng Gao to study the relationships between nitrous oxide emissions and associated functional genes (nitrifier and denitrifier) for agricultural and natural ecosystems. Mingyuan’s visit was funded by the China Scholarship Council – University of Manitoba Joint Scholarship Program. Thesis: Emissions of N2O from Grassland Ecosystem Under Different Grazing Intensities on Kunlun Mountain in Southern Xinjiang, China. 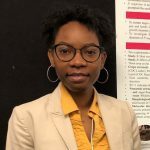 Amber Aligawesa (2019-) is a soil and plant chemistry research technician in the Applied Soil Ecology Lab. 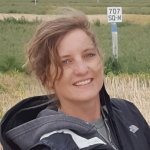 Her responsibilities include processing soil and biomass samples, conducting nutrient extractions, and assisting Mervin Bilous with analyses using the Technicon auto-analyzer and CNS dry combustion analyzer. 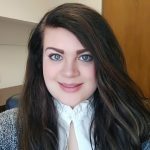 Lanny Gardiner (2017-) is a research agronomist in the Applied Soil Ecology Lab. Lanny engages commercial farmers to obtain access to farmland for field trials. He is responsible for establishing and maintaining field sites (e.g. field site layout, applying pesticides/herbicides), precise application of fertilizer treatments, and seeding/planting and harvesting of field sites. Megan Westphal (2017-) is a field and lab research technician in the Applied Soil Ecology Lab. She is in charge of field maintenance and activities for the National Centre for Livestock and the Environment (NCLE) long-term manure management study and the Agricultural Greenhouse Gas Program (AGGP) II long-term study. 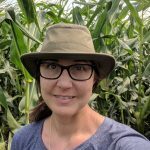 Her research involves monitoring greenhouse gases (CO2, N2O, CH4) from soils receiving fertilizer, ploughed-down forages, long-term manure applications and from fresh / stored / composted manure. Marliese Peterson (2015-) is a field and lab research technician in the Applied Soil Ecology Lab. Her responsibilities include assisting graduate students with their collection, processing, and analyses of gas, soil, and biomass samples. 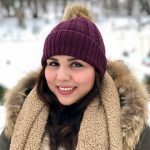 She is also responsible for overall coordination of undergraduate summer research student training and field assignments, and managing the Lab’s social media accounts and outreach projects. 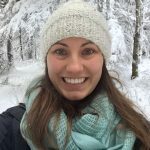 Krista Hanis-Gervais (2014-) is a field and lab research technician in the Soil Ecology Laboratory. Her expertise lies in greenhouse gas monitoring using micrometeorology (i.e. eddy covariance and flux gradient techniques) as well as various chamber methods in agricultural systems (cropping, compost and manure) in southern Manitoba and subarctic wetland/peatland systems (fen, bog and polygonal peat plateau) near Churchill, Manitoba. She has recently become involved in the collection and analysis of spectral reflectance measurements taken over the canopy of cropping systems (corn, wheat, oats, soybeans and canola) using an unmanned aerial vehicle as well as handheld instruments in order to determine soil and vegetation water contents and, ultimately, crop health. Terri Fairman (2014-) is a molecular biology technician in the Applied Soil Ecology Lab. Terri maintains the molecular biology lab and conducts molecular diagnostics of soil-borne crop pathogens such as fungi (e.g. Verticillium spp.) and nematodes (e.g. Ditylenchus spp.). She is also responsible for training graduate and summer students in proper molecular biology techniques. 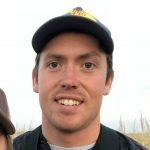 Matt Gervais (2011-) is a micrometeorology technician for the Applied Soil Ecology Lab and is responsible for the operation and maintenance of the Trace Gas Analysis Manitoba long term study site near Glenlea, Manitoba. He is also an unmanned aerial vehicle (UAV) operator and spectral reflectance technician for the Lab. Mervin Bilous (2006-) is a soil and plant chemistry analyst in the Applied Soil Ecology Lab. Mervin is in charge of wet chemistry analyses of soil and plant samples, dry combustion analyses for determining soil and plant total nitrogen and total carbon content, and operating the Department of Soil Science’s Technicon auto-analyzer to determine ammonium-N and nitrate-N. He is also responsible for training undergraduate summer research students and graduate students on proper soil and plant chemistry analysis techniques. 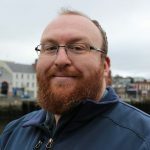 Brad Sparling (2005-) is a gas analyst and GIS technician for the Applied Soil Ecology Lab. 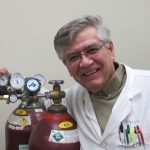 He is responsible for analyzing all gas samples collected by graduate students and field technicians, as well as maintaining the Lab’s two gas chromatographs. Brad also helps coordinate and train undergraduate summer research students in proper field sampling techniques. Andrew Hector (2018-2019) Does Increasing Length of Polyculture Deployment Affect Soil Health?